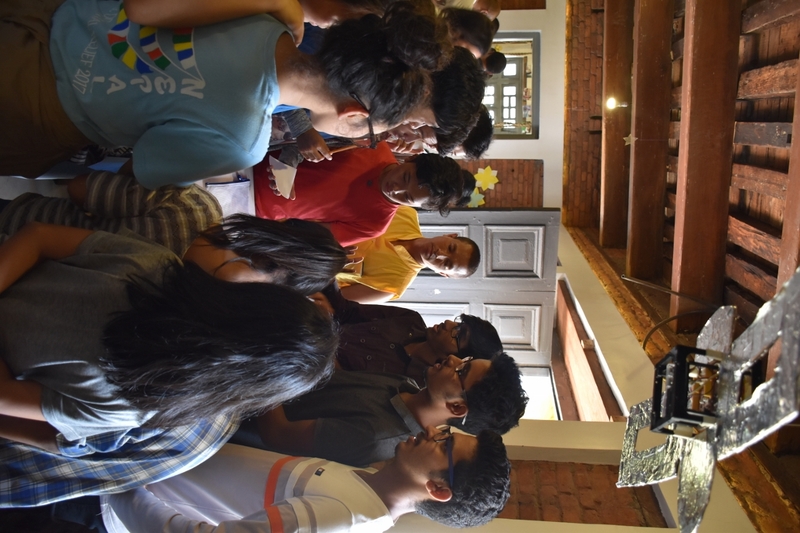 Taking the students to explore an exceptional Nepali education company. 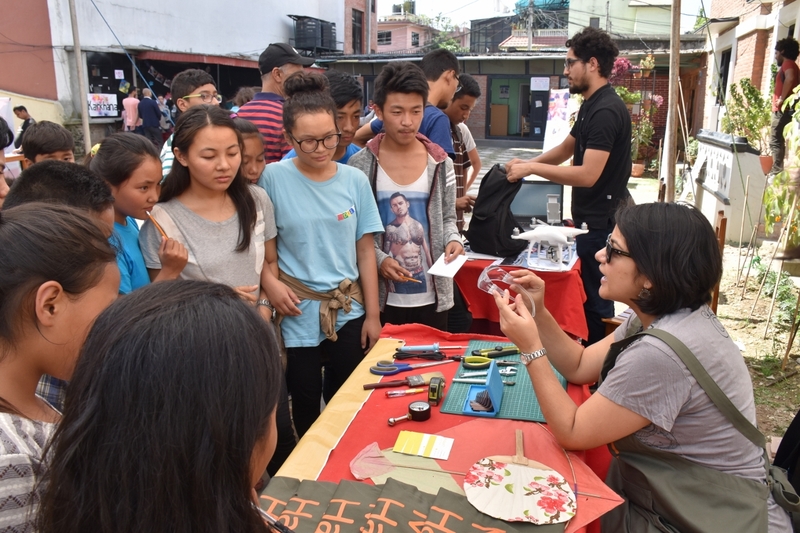 In October, Tashi and I took the HMG Team Leaders on a field-trip to the Karkhana Mela open house. 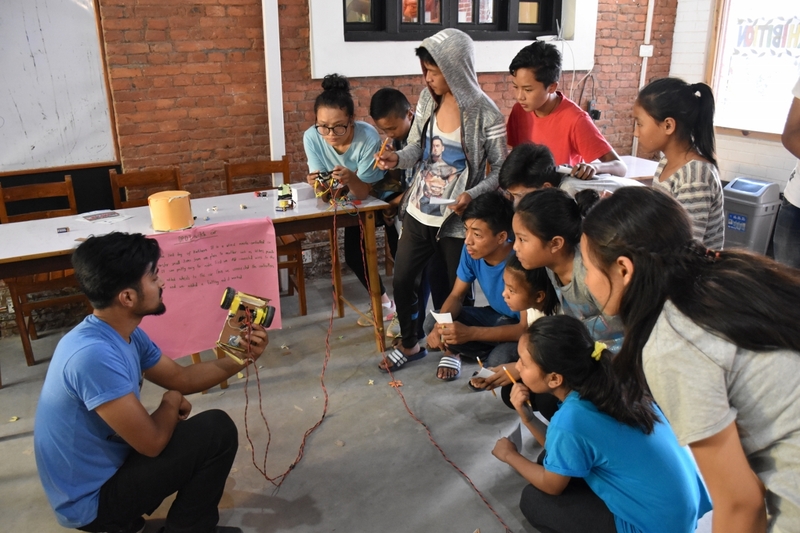 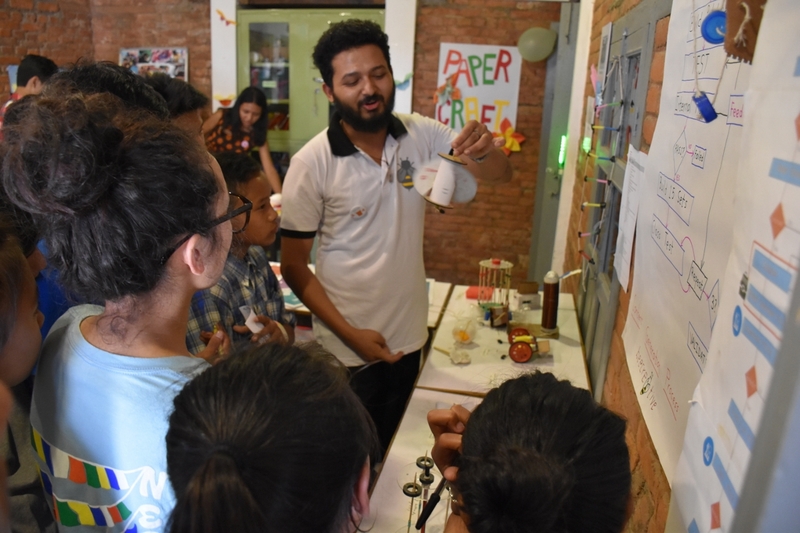 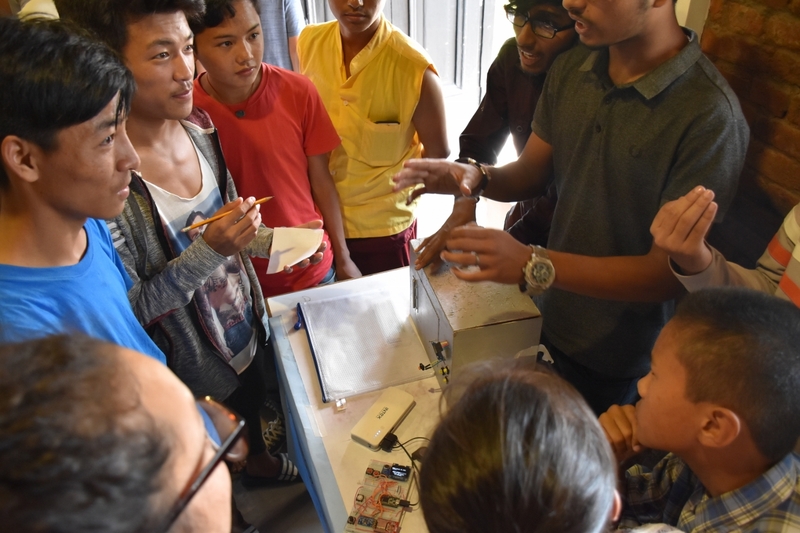 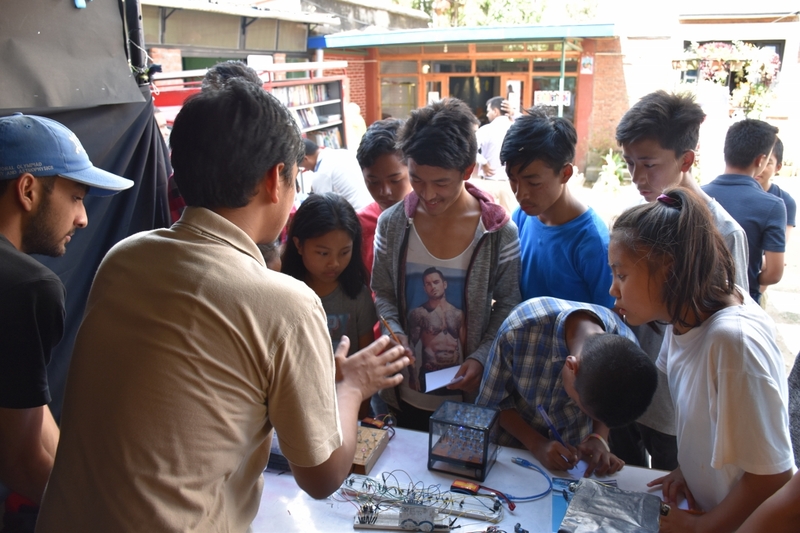 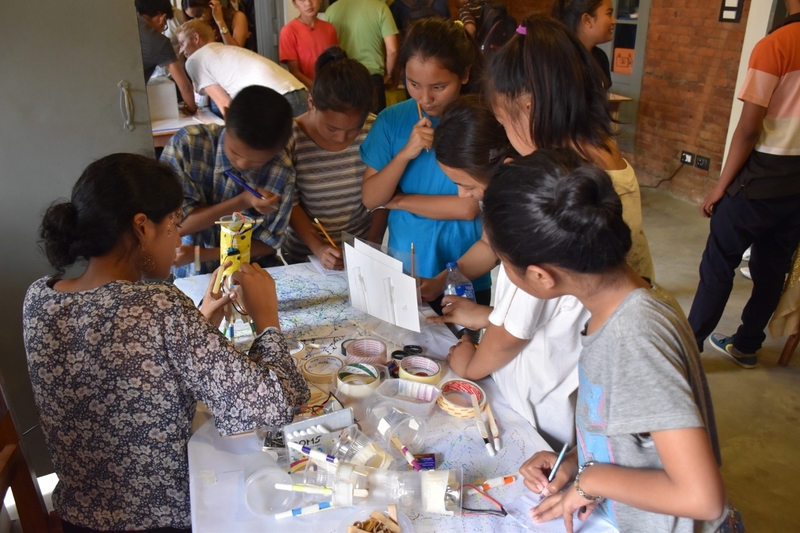 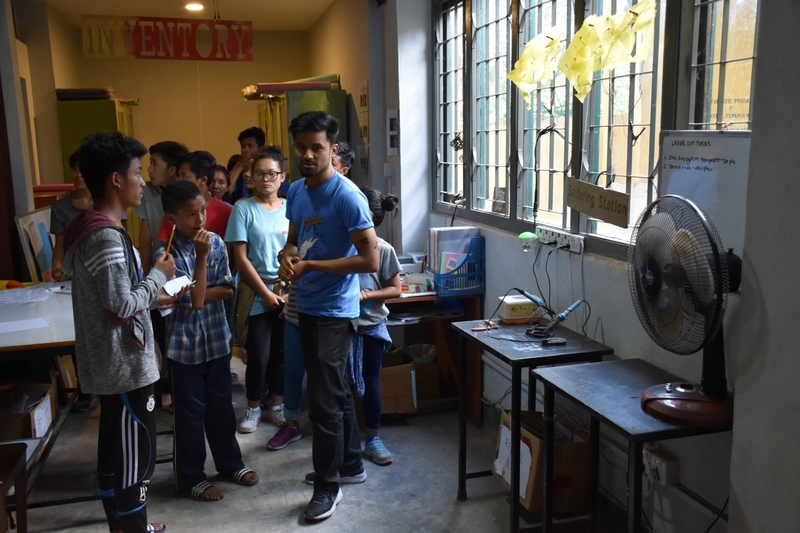 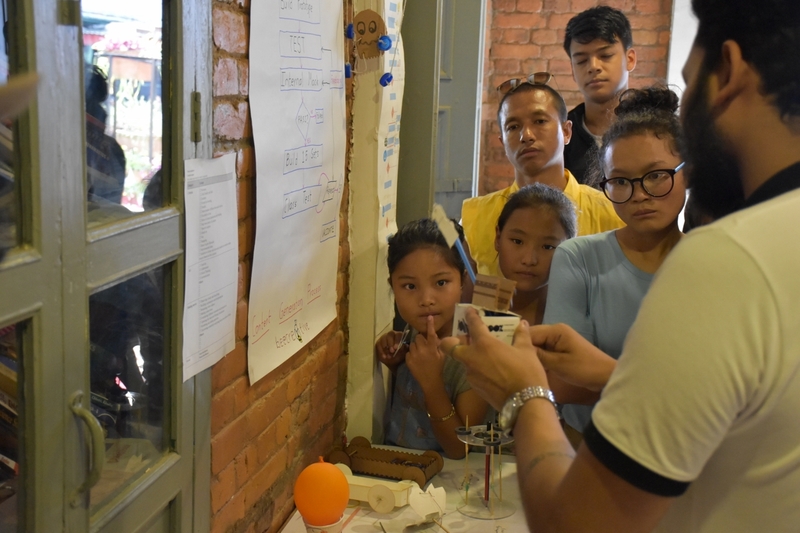 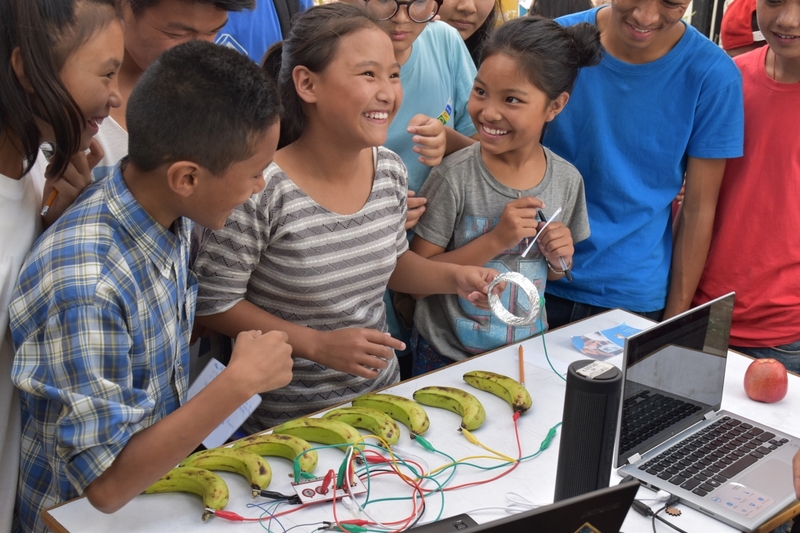 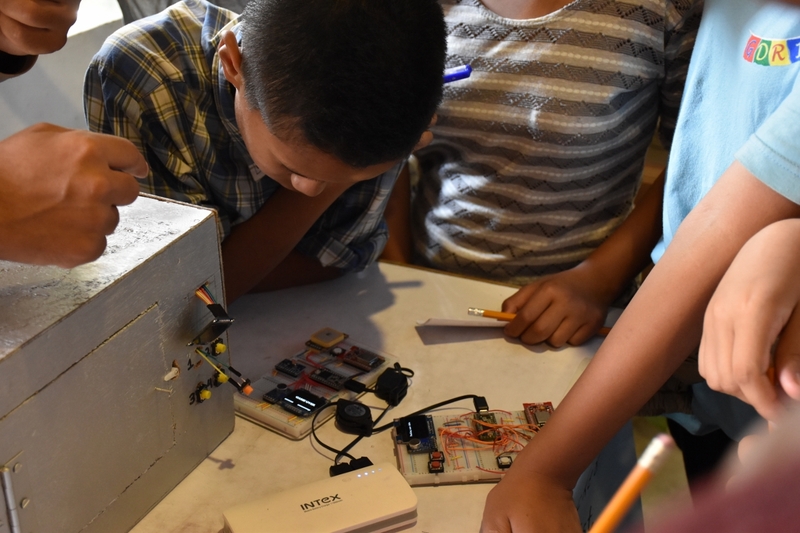 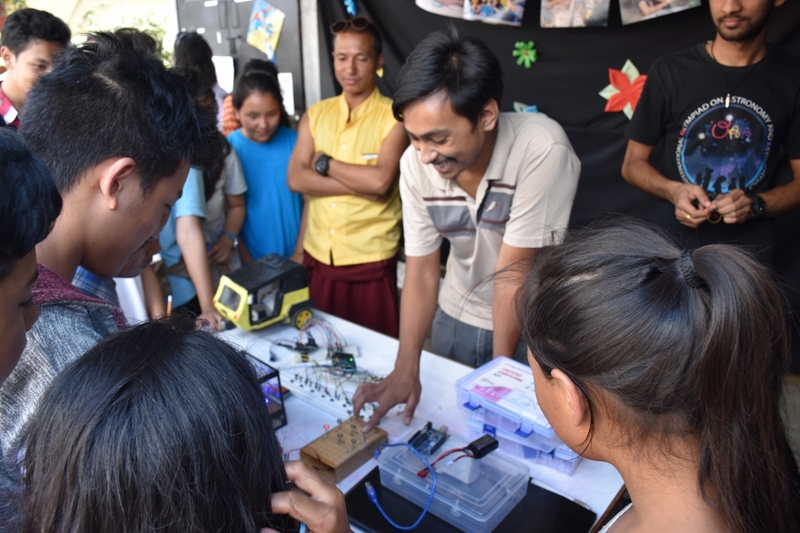 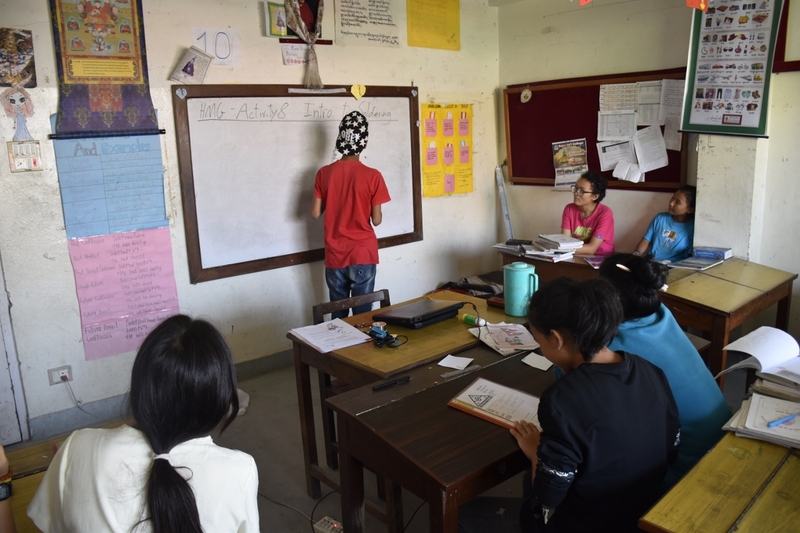 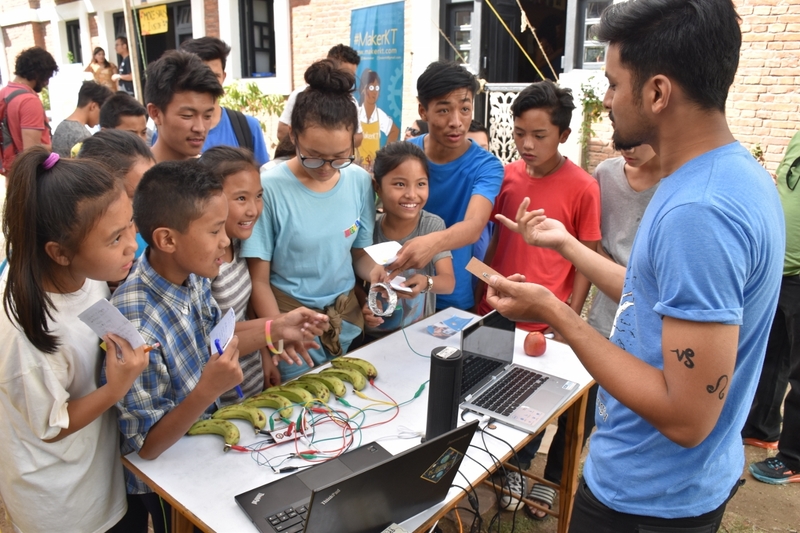 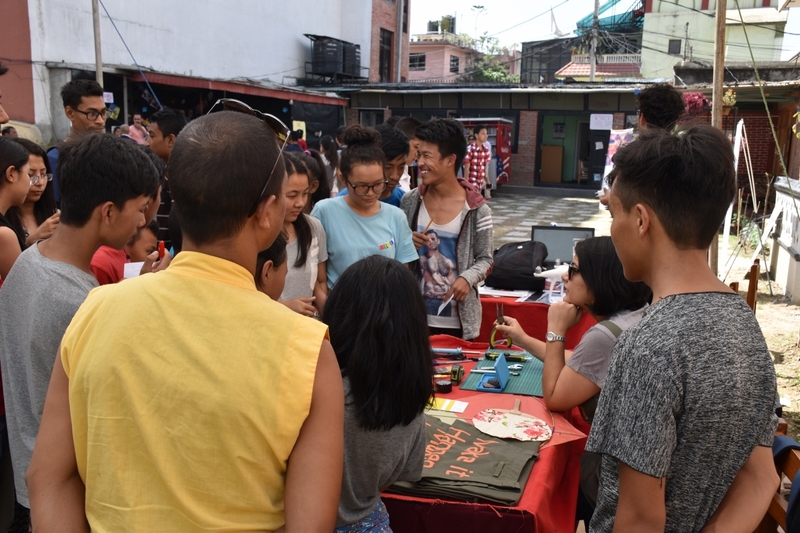 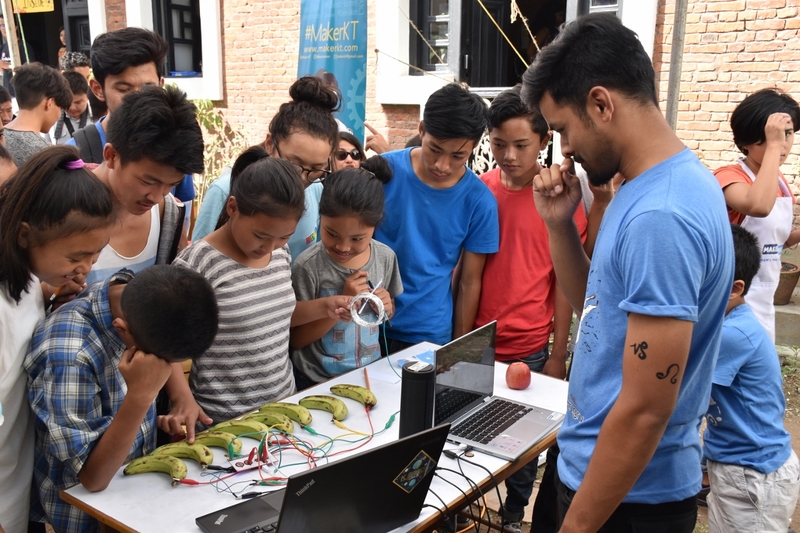 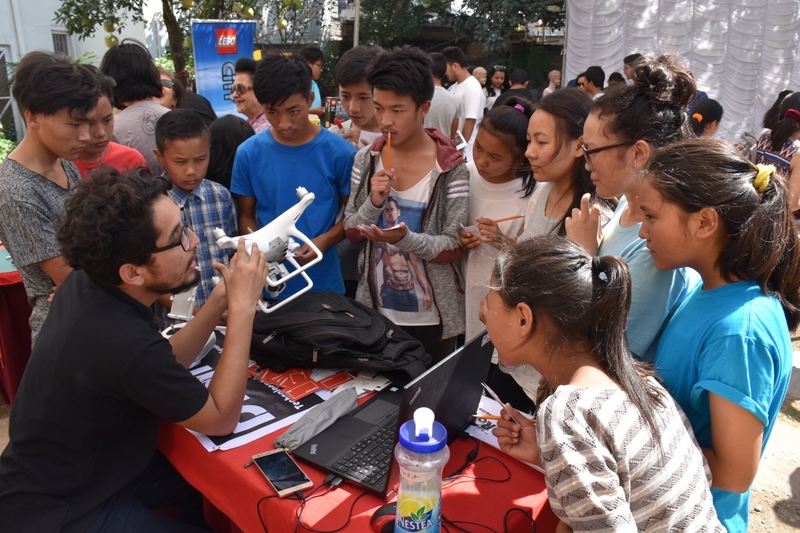 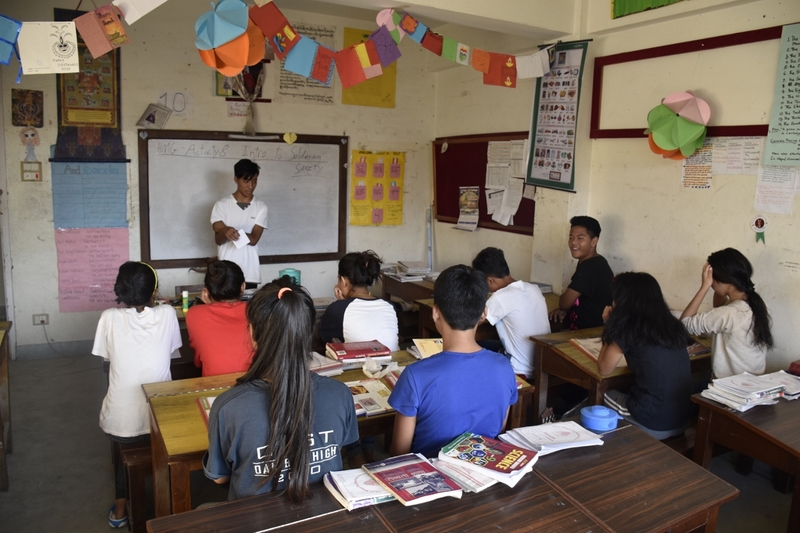 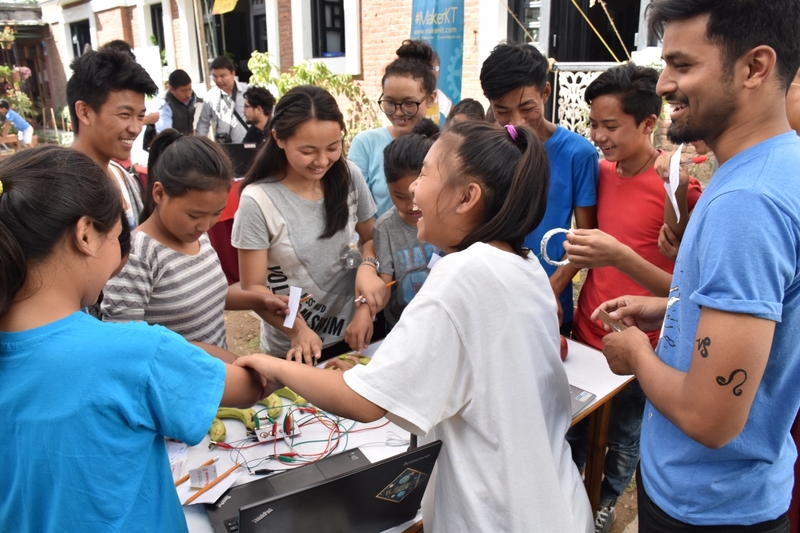 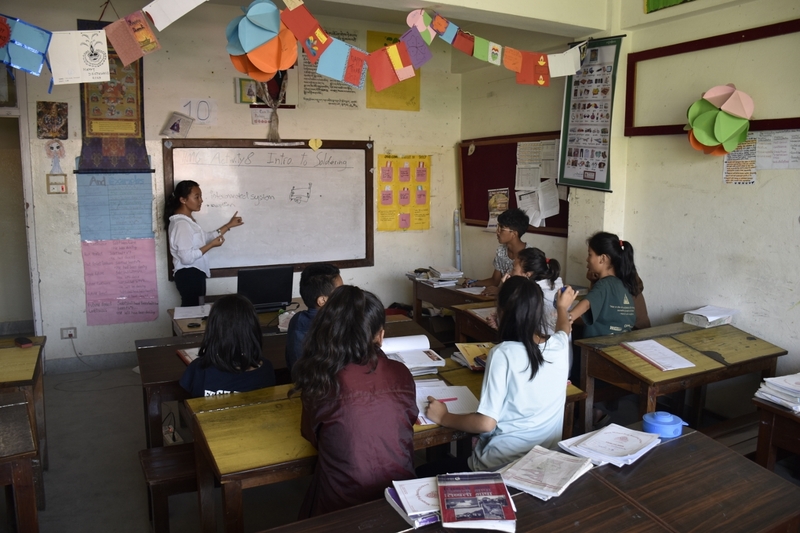 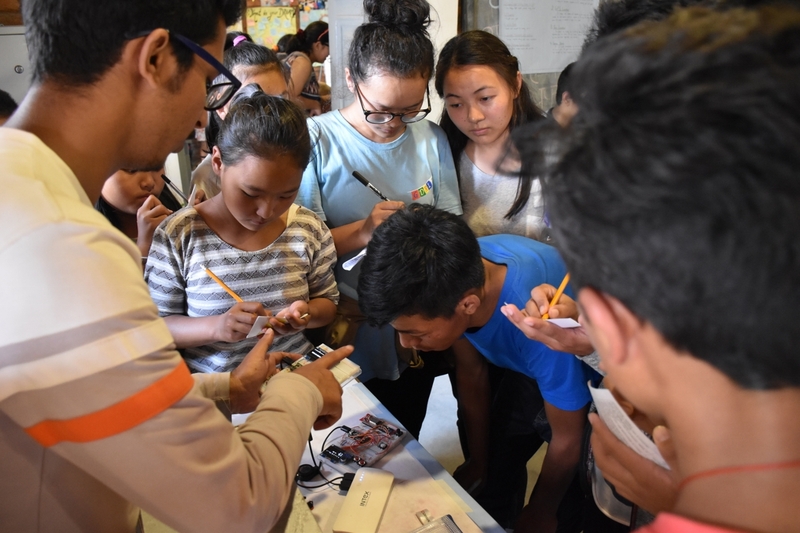 Karkhana is an innovative education company working to spread Science, Technology, Engineering, Art, and Math (STEAM) to students throughout Nepal. 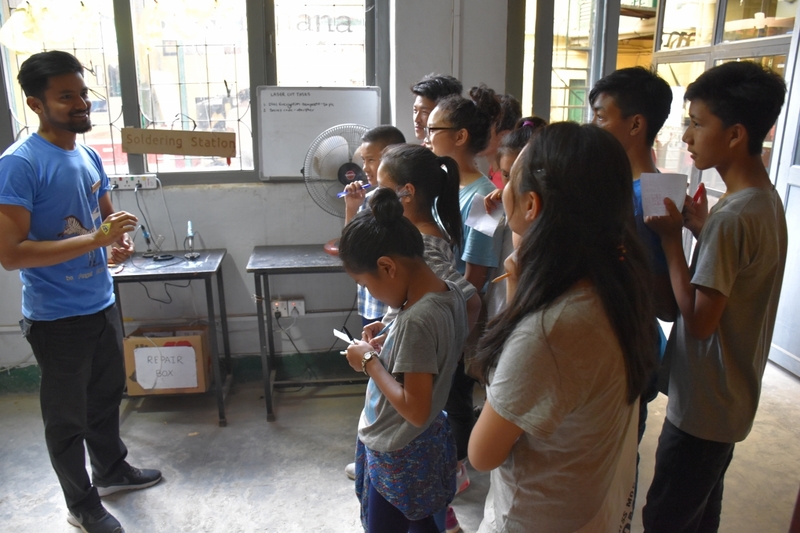 They conduct activities similar to what we do in the Himalayan Makers Guild, and have been both mentors and a helpful resource since I met them in August. 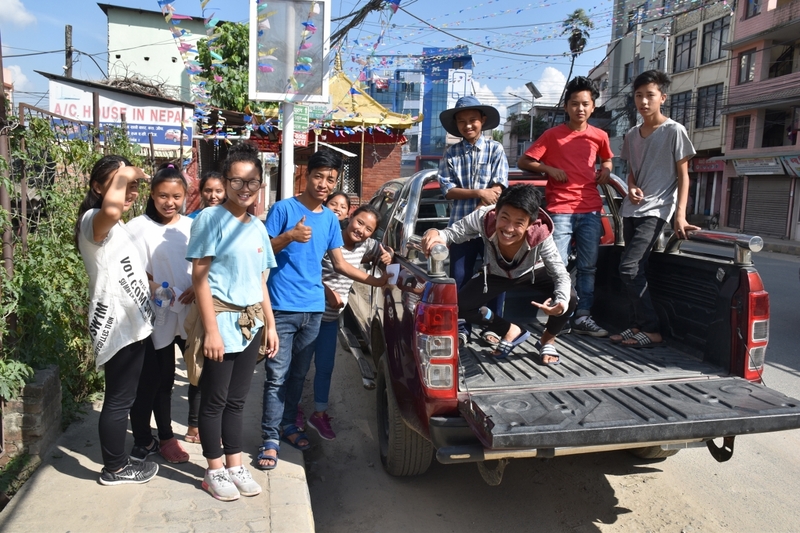 I would’ve liked to have taken all 60 HMG team members, but it wasn’t practical to transport everyone. 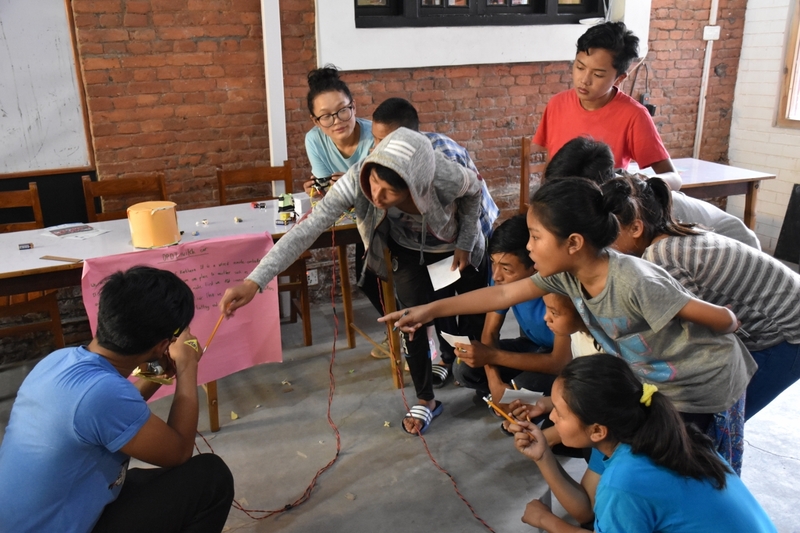 In lieu of that, I asked the team leaders to make note of the things they observed and found interesting, and they gave a short presentation to their group during Activity 8. 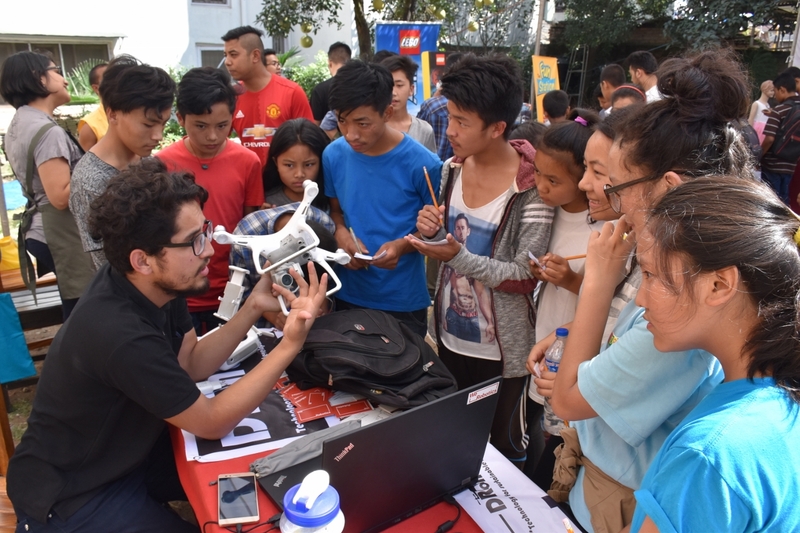 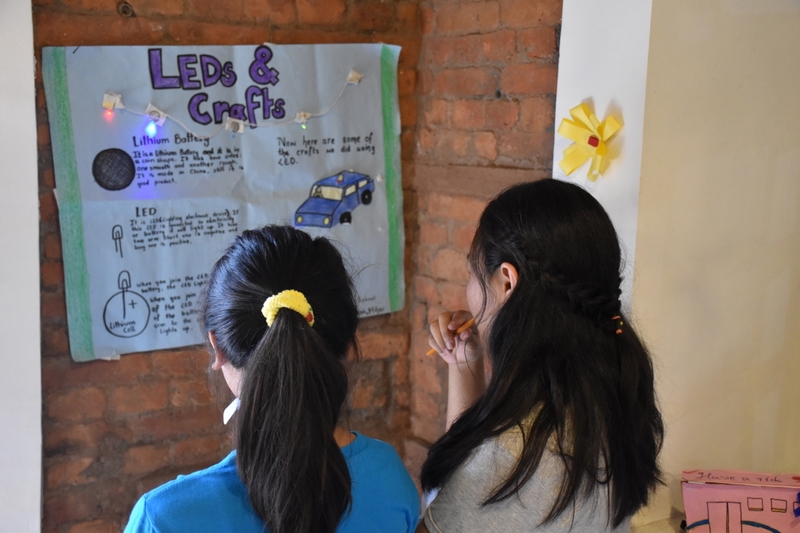 It was delightful to see the students take interest in all of the different displays, from drones and laser cutters to scribbling robots and banana pianos. 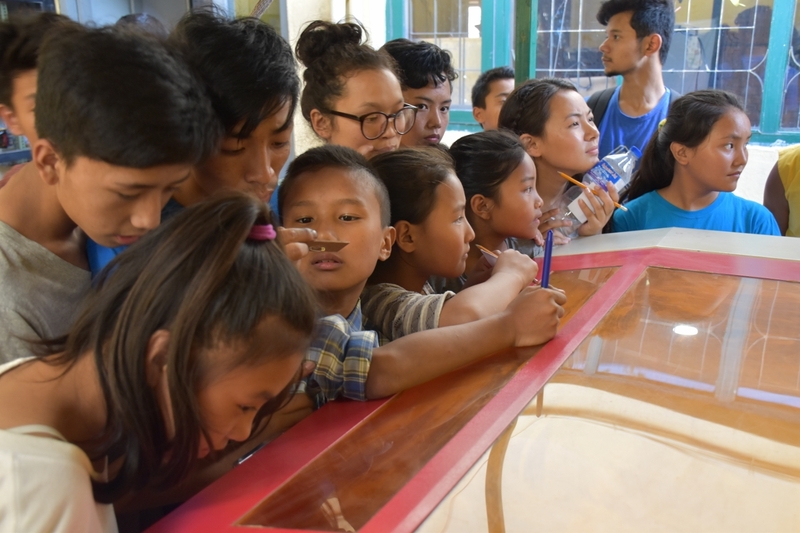 They were wide-eyed and inquisitive, asking some great questions and jotting down their observations. 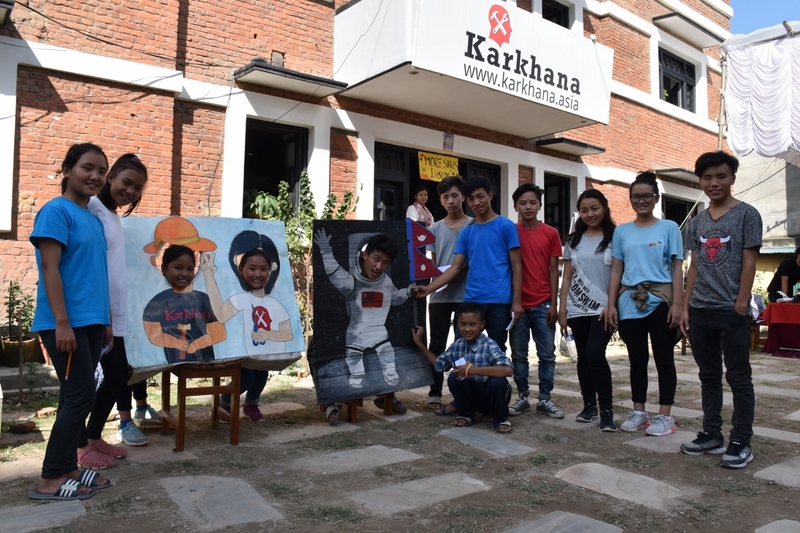 A big “thank-you” to Karkhana for putting on the event!